Facing Autism in New Brunswick: Canadian Government Funded Study Advice for Parents of Children with Autism: ABA Doesn't Work, Set Your Children Free and They Will Prosper! Canadian Government Funded Study Advice for Parents of Children with Autism: ABA Doesn't Work, Set Your Children Free and They Will Prosper! A study funded by the Canadian Institutes of Health Research (CIHR) has found, surprise, surprise, that ABA is of limited effectiveness in treating autism. The Pathways in Autism Spectrum Disorders study led by Dr. Peter Szatmari, Dr. Dr. Susan Bryson and Dr. Eric Fombonne was established with the belief at the outset that ABA is of limited effectiveness in helping low and high functioning autistic children. It was also established, not surprisingly given its government financing, and the predispositions of the lead researchers, with a view to avoiding the expense associated with providing ABA intervention. Reducing expense is an obvious concern of a federal government which has been under pressure to provide ABA coverage for autism under our national medicare scheme. Dr. Szatmari, Dr. Fombonne and Dr. Bryson signed on to the federal government initiative to discourage medical coverage of ABA many years ago as evidenced in their 2006 Brief to the Canadian Senate. Their opinions, as articulated in 2006, are also reflected in their recent 2011 video. Plus ca change, plus ca rest la meme. "It is true that early intervention makes a difference but it is not true that all children need exactly the same type of treatment [2, 21]. Not all children need incredibly intensive intervention that takes between 20-40 hours a week. Some children do respond, but some children do not respond to even that level of intensity and need another form of treatment. Others do not require that level of intensity and can do just as well with less intensive forms of treatment that are carried out in more naturalistic settings . We do not know the relative proportion of those types of children but there is now more and more scientific evidence showing us that different forms of intervention can be adapted to different types of Autism Spectrum Disorder. More work needs to be done but we are much farther ahead today than we were even five years ago." The 3 doctors do not elaborate on what interventions, other than ABA, can be fairly described as evidence based. Like all critics of ABA they provide no real alternative. Nor did they acknowledge the research summarized by US agencies like the office of the US Surgeon General, the MADSEC Autism Task Force, state agencies in New York and California which have reviewed the research literature and found ABA to be the only evidence based effective intervention for autism. The truth was that the federal government and CIHR did not want parents at the consultations who were advocating for government coverage of ABA treatment for autistic children. Doctors Bryson, Fombonne and Szatmari all participated at the autism "consultations" when they were finally held in November 2007. While parental ABA advocates were excluded opponents of curing autism like Michelle Dawson and Dr. Laurent Mottron were included. In the 2011 video Dr. Szatmari tells us that the study originated with parents and with the community. In truth they excluded discussions with parents seeking ABA for their children. Now the federal agenda friendly team of Bryson, Fombonne and Szatmari, has put a video online in 2011 which, as they did in 2006, the 3 doctors diminish ABA as an intervention. Meanwhile the American Academy of Pediatrics published a directive in 2007 which described the gains made by autistic children who received early ABA intervention. That policy directive was confirmed by the AAP in December 2010. 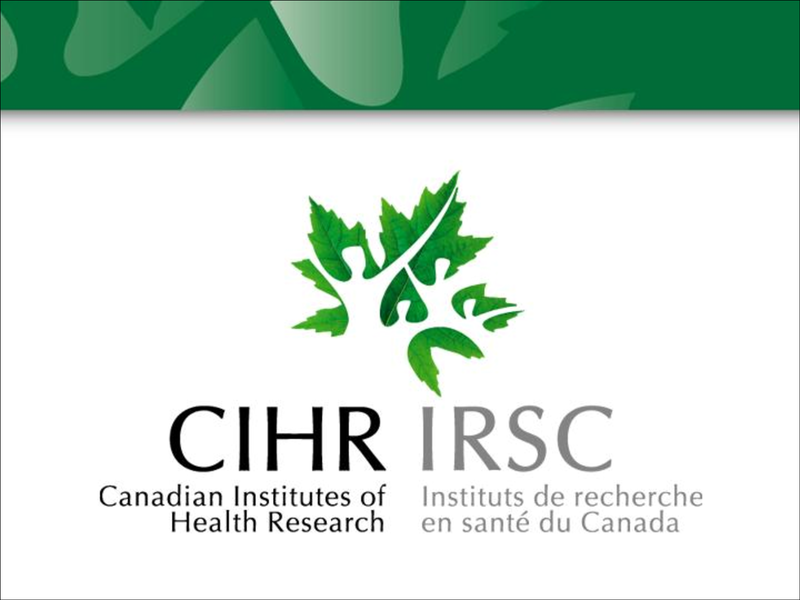 The Szatmari/CIHR video confirms the 2006 opinions of the 3 doctors presented to the Canadian Senate but ignores the AAP conclusions and research subsequent to 2006. In the CIHR video Dr. Szatmari paints the study as parent and community driven. In fact it is only those parents and community members who were not ABA advocates that were involved in this government financed, tightly controlled, manipulated and driven symposium/ consultation process. In Canada parents looking for help for their autistic children have Bryson, Fombonne, Szatmari and their colleagues in arms in the battle against ABA, Mottron and Dawson, to provide guidance. Fortunately though, hysterical and ill willed parents seeking real help for our autistic children are able to use the (gasp) internet and we are able to access American authorities, like the office of the US Surgeon General, the MADSEC Autism Task Force, the Association for Science in Autism Treatment and the American Academy of Pediatrics, who are not tied to our Canadian federal government anti-ABA agenda. You really have to wonder what the cause is of the Canadian government freaking out about providing evidence-based care for autism. B/c it isn't evidence based at all. Where's the research?? Where's the variations of ABA? What's the gold standard? How many hours, how much play mixed with how much training? There isn't any. There's no proof at all except for parents saying "it must have been...." Been what, speech, OT, 1:1 teaching, growing up, good parenting??? Truth is, nobody knows. All I know is that my severely autistic son did not thrive in the program... but we certainly got blamed for that lack of thriving and his distaste for it. He's doing well now... being treated as a child and with respect. As Kim wrote this morning "parental anecdotes is not evidence". Unless you have an agenda. FW2 I was expecting your comment on this subject. The authorities I cited have referenced hundreds of studies confirming the benefits of ABA interventions for autistic children. Your argument that the evidence is simply anecdotal is based on erroneous information. You should read some of the reviews I have presented to you several times. Farmwifetwo....ABA is the gold standard, and there is plenty of documentation from the world's most credible resources, court challenges, documents, etc. With all do respect...get your head out of the sand and get educated. I am a parent of an autistic son now 17yrs old and without ABA done by a professionally trained team he would be in 'no man's'land still. However, he is remarkable. I am also a nurse and scientist and know of what I speak. We need ABA to be covered by Medicare...period. Genetic influences operate in almost all human diseases as well as developmental disorders but so to do environmental influences. This is the most viewd article currently still up on SFARI and if you read my commentary and access the links I provided you will ask the same question I did. Where is the heritability in the genetic syndromes with a high rate of co-ocuring autism? If the gentic determinists has lost the heritability in the genetic syndromes and they have lost the heritability in the twin studies all they have left is grasping at hypothetical straws while continuing to claim that environmental factors in autism are an irritant to be ignored.